Meet Alice! 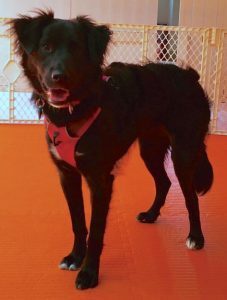 She is a 9-month-old Border Collie mix puppy. 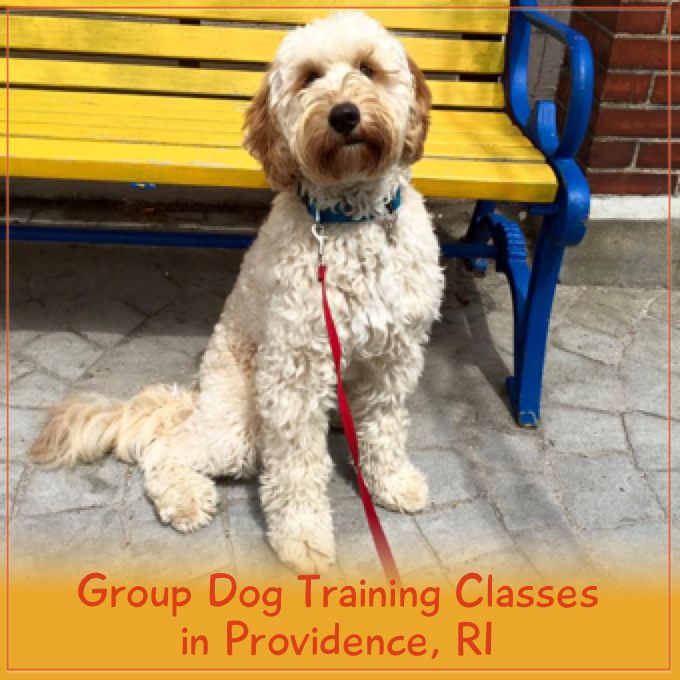 Her owner enrolled her in our Puppy Day School program to work on her socialization skills around other dogs. Alice missed her critical socialization period while waiting to be adopted. Then, shortly after coming to her new home, she broke her leg and had to be kept quiet for several weeks. She was nervous of new places, unfamiliar people, and most other dogs. The primary and most important time for puppy socialization is the first three months of life. During this time puppies should be exposed to as many new people, animals, stimuli and environments as can be achieved safely and without causing overstimulation manifested as excessive fear, withdrawal or avoidance behavior. Alice had already been rejected by a doggy daycare due to her antisocial behavior. She also refused to take treats in unfamiliar places. Before she started in our program, her training progressed at a glacial pace. This video shows how in just a few short days, she went from wallflower to wild child. We’re thrilled with her progress and think you will be, too! 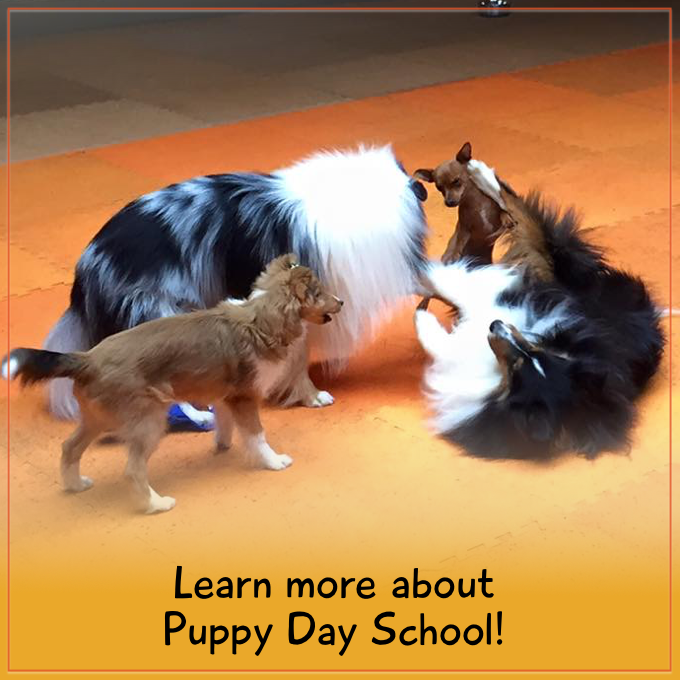 These results are quite typical for our Puppy Day School program. This immersive socialization experience is unmatched by group classes or private lessons. Socialization results are seen in days, not weeks, for dogs in this program. If you’ve got a nervous or fearful puppy, this is for you. Or, if you’ve got a brand new puppy and you want to prevent problems before they occur, Puppy Day School is the right choice! Alice went on to graduate our Basic Dog Manners group training class with her owners. She continues to make progress every day. Way to go, Alice!